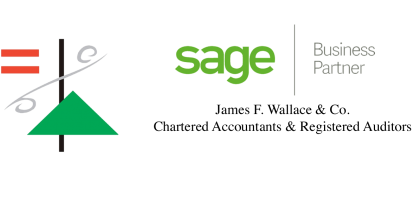 Click here for our Sage Payroll special offers!!! Throughout our many years in business we have found that the pace of business and technology has changed dramatically. Everyone finds time is the one thing they don't have enough of these days. After much research we have found the optimum time saving tool for our clients, one that will also keep your finger on the pulse of your business giving you access to real time information. Our range of SAGE 50cloud packages will provide you with an easy to use, straight forward bookkeeping solution. Imagine having the freedom to control your business wherever you are. 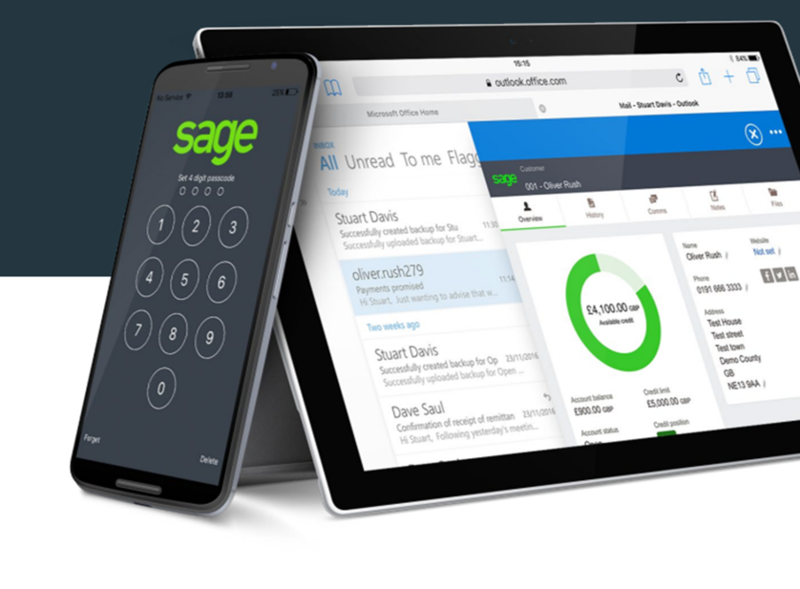 Meet Sage 50cloud, Ireland's leading accounting software, seamlessly combining the power and productivity of their trusted desktop solution with secure online access and Office 365 integration. We know you just want to sort out your accounts quickly and easily and you’ve got other things to think about. You want to be able to access the right business information without it being too painful. Success begins with the right information, and you should have access to it wherever you are. What Sage 50cloud can do for you. Sage 50cloud offers online access and Microsoft Office 365 integration giving you everything you need to run your business wherever you are… and it and will change the way you do business forever. Includes Microsoft Office 365* – work anywhere, anytime, on any device. *included with 50c Standard and 50c Professional. Available on 50c Essentials for an extra charge. Every business is different with differing needs. We will discuss your business needs and identify exactly what Sage50cloud package will suit you best. Why choose James F. Wallace & Company as my Sage provider? James F. Wallace & Company has Sage accredited Sage Training Partners who have completed their Sage training at Sage HQ, Newcastle, England. They have learned all aspects of Sage 50cloud from install to year ends. You can rest assured they will be able to assist you every step of the way when you begin to use Sage 50cloud. How do I get Sage 50cloud? It's really easy. Once we have identified which package is best suited to your needs, we will install your Sage 50cloud in your office or on your laptop and get you up and running in no time at all. Will Sage 50cloud really save me time and money? The short answer is yes! Having a bookkeeping system that allows you to record transactions and allocate them accordingly in real time will result in less scramble at year end to ensure records have been correctly maintained. No more lost receipts or invoices, you can do it all from Sage. I've never used Sage before, is it difficult? That's no problem. Sage has a great user-friendly interface. We can provide training and a user manual tailored to suit your needs. We're here to help. If you have any difficulties just call us and we can help you with any queries you may have. As well as our ongoing support you will also have accessto Sage Online, Webchat and email support. No matter what you'll have all the support you need. Do I have to pay for updates if there are any legislative changes? No, Sage are constantly working to improve and innovate and so will provide you with free legislative updates as well as the latest product updates. This is all included in your Sage 50cloud subscription. Will Sage make it easier to do my VAT? Of course. That's the great thing about Sage you can record your VAT as you process transactions and use ROS to upload your VAT returns. Can I create invoices and send them directly via Sage 50cloud? Yes you can. You can personalise your invoices and quotes using your company logo and details. Thanks to the Office 365 integration you can send them to you customers in an instant no matter where you are.